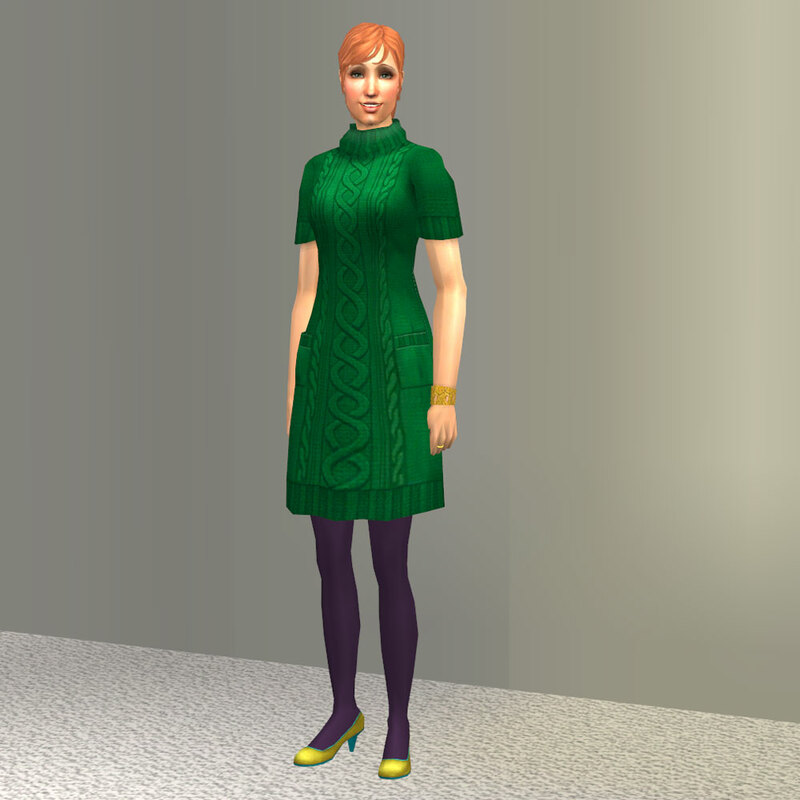 Mod The Sims - Fanseefem Sweaterdresses... for the Laydeez. No, you're not seeing things - I made another Fanseefem thing! A little dressier than some of the rest but still the sort of thing I'd wear on a daily basis. This is a short-sleeved sweater dress with loose high neck, cable detailing, pockets, opaque tights, low heels with contrast detail, and a little bracelet. These are a recolour of a mesh from the H&M stuff pack, so H&M Stuff is required. Special thanks to EA, for the Sims 4 textures that were converted to make these - pretty sure this makes this the first TS4-to-TS2 conversion. Also thanks to Nysha, Splad, Buckley, Baka, and Jazinga for colour combination suggestions. Model is my Rebecca de Muse.